Good Morning! !..I am back with a new loot Referral offer from RedBus in this offer they are giving Rs.51 for sign up and Rs.100 off for 1st by using your friends referral code. You will also get Rs.100 if your friend started their first ride. 2. Open the app and register with New Account. 4. Now You can See in your Wallet that You got Rs.51 as Joining Bonus. 5. Want to get Rs.100 more off on your first ride? If so then Use Promo Code “RBAPP100”. 1. Open the App and Go to Menu by Clicking the three dots at right hand side. 2. Go to Refer and Earn Section. 3. There You will get your Refer Code and Referral Link. 4. Share it with your friends and family and Earn Rs.100 on their first ride. *.. Only signups where a phone number is provided and is verified through OTP will be eligible for the reward. *.. 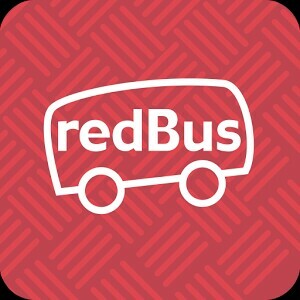 The referrer will get the reward of Rs 100 as offer cash in their redBus wallet within 48 working hours after the referee has completed their first journey. *.. If the referee cancels their ticket before the date of journey, then the referrer will not be eligible to get the referral reward. *.. The offer cash is valid for 3 months from the day it is credited into the wallet, after which itwill expire and cannot be used. *.Ibibo Group Pvt. Ltd. reserves the right to end any or all offers at its discretion without any prior notice. 2. Register with a new number and enter your referral code. 3. You have got Rs.51 in your new account. 5. Now,You got Rs.100 in your old account too. 6. Now open the Bs Tweaker and Change The Values Such as Google Adv. Id, IMEI, Android Id,etc. 7. Repeat the above mentioned steps again and again to loot UNLIMITED. 6. Now Repeat the Above Mentioned Teick Again and Again to loot UNLIMITED.